MAT The Basics Smarties Area Rug - Natural Multi - Swatches may be available. Hand Knotted. Contemporary. With a captivating dots motif, the Smarties design is enchanting and bold! Imagine a stark white common room with this luxe floor covering as the focal point - absolutely gorgeous! 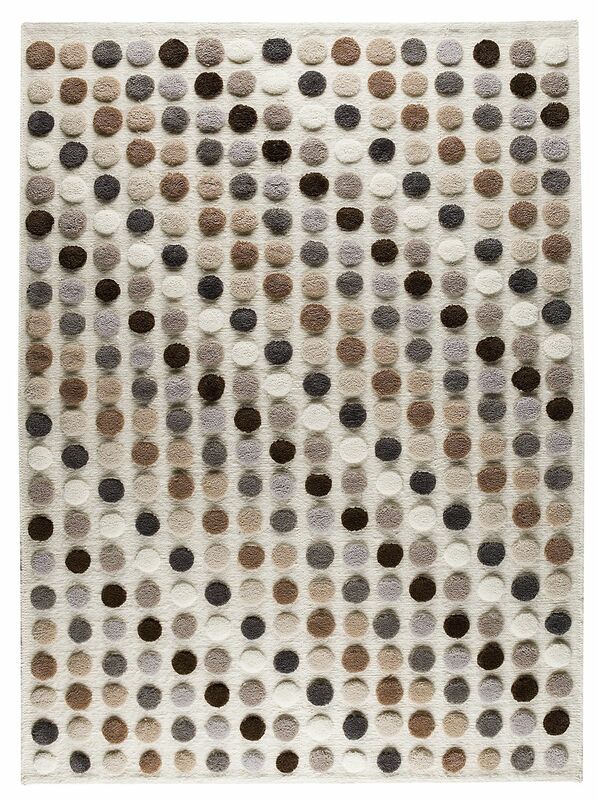 This rugs needs little else to make a statement, as this rug is sure to grab the attention on its own. 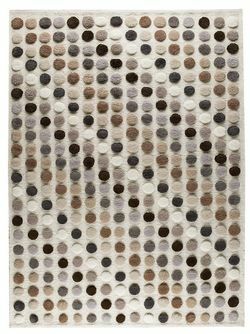 This rug calls to mind river pebbles, meticulously arranged in a geometrical fashion with the end result being a relaxed mind state. This hand knotted rug was carefully created by hardworking craftsperson's and is available in a multitude of sizing, including a runner size. 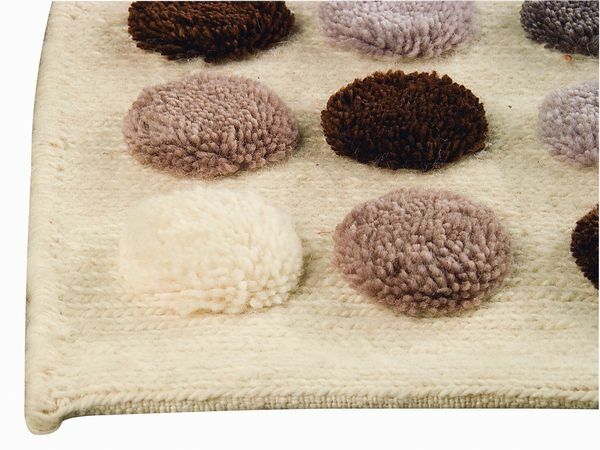 Hand Knotted with 80% wool, 20% cotton. Flat Weave with Pile height is 0.5 inches. Made in India. MAT The Basics Smarties Area Rug - Natural Multi 5'6"x7'10"
MAT The Basics Smarties Area Rug - Natural Multi 6'6"x9'9"
MAT The Basics Smarties Area Rug - Natural Multi 8'3"x11'6"